Our meetings are held the 3rd Saturday of the month from 10:00 am until 12:00 pm at Fifty Forward on Donelson Pike (Nashville) unless otherwise noted. Prospective members and guests are welcome to attend up to two meetings prior to joining. Individuals must hold membership in Romance Writers of America in order to join Music City Romance Writers. Please check out this link for the most recent retreat information as well as the sign up buttons! Daisy Bordeau experienced loss at a young age when her mother passed away. From that moment she knew she wanted to help other people deal with these hard feelings. As a teenager she volunteered with hospice and helped her grandmother who is a hospice nurse. In junior college she worked part time at a funeral home and fell in love. During that time, she felt God’s call on her life and knew she was right where she was supposed to be. She changed her major and became a Mortician. Since then she’s been gathering stories and information and is ready to share them with you. For any writer interested in the topic of death or grief, but with a twist of humor, you won’t want to miss this presentation! Bio: Daisy Bordeau’s long red hair, green eyes, and fair skin doesn’t fit the average person’s picture of a mortician—neither does her fun-loving, sunny disposition. Yet her passion for helping people at their time of loss comes from a darker time in her own life. She lost her mother when she was only nine years old, and the funeral director’s kindness planted a seed that has grown into a full-time career. Her desire to help people in grief grew when as a teenager she volunteered with a hospice, assisting her grandmother who is a hospice nurse. Her fascination with science and anatomy drew her to pursue a degree in forensic science, but while attending college classes she worked part time for a funeral home, and though she only helped with small tasks: moving flower arrangements and passing out obituaries, she knew this was where God wanted her to be, so she changed her major and finished school with a degree in mortuary science. Her love and care for people keeps her passion alive as she does everything she can for grieving families to make that hard time a little easier. Your brand is more than your logo, name or slogan — it's the entire experience you create for your target audience (readers). Your brand defines what you represent and the personality you portray to your readers. Ultimately, building a brand — at least in the publishing world — is building a relationship that feels as close as family with the people who love your books. Bios: Kimberly Killion is the CEO/Art Director of The Killion Group. They represent 2,000+ clients, publishing houses and agencies in the publishing world. She has nearly 25 years of experience in design and communications. She holds a Bachelor of Fine Arts, a Certificate in Web Design, and she is an ACE (An Adobe Certified Expert). In addition to the paperwork, she also taught Graphic/Web Design for over a decade. Kimberly is also a RITA® nominated, award-winning author who is traditionally published as well as indie-published. First, third, deep, limited, alternating, omniscient...what does it all mean? 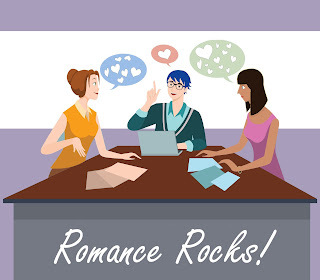 In this workshop, we explore point of view, establishing a POV vocabulary and building on that as we dig into the most commonly used POV in romance novels - deep third - and some tools to help us go deep with our characters. Bio: Award-winning contemporary romance author Lizzie Shane calls Alaska home and uses the long winter months to cook up happily-ever-afters (and indulge her obsession with reality television). A three-time RITA finalist and Golden Heart winner, she also writes paranormal romance under the pen name Vivi Andrews. Find more about Lizzie, visit her website at www.lizzieshane.com. Covering narrative structure, as well as themes, archetypes, style, and interpretations, we'll spend our time dissecting fairy tales all the way from OUAT to the HEA. Bio: Sela Carsen was born into a traveling family, then married a military man to continue her wandering lifestyle. With her husband of 20+ years, their two teens, her mother, the dogs, and the cat, she's finally (temporarily) settled in the Midwest. Between bouts of packing and unpacking, she writes paranormal and sci-fi romances; steamy, sweet, or in between; with or without dead bodies. Your pick. This workshop will cover a basic Q&A of how to deal with death and bodies in your books. It's a must for mystery and suspense writers and something you probably need for most other genres as well. I'll cover what happens after death and how scientists and investigators determine time and manner of death. We'll figure out how to get away with murder, unless you're writing the detective? Then we'll make sure you catch them! This workshop will let you know what TV got wrong, what actually works, and where the science is going in the next decade. Hopefully it will spark some creative ideas and get you going on your next book! Bio: AJ is a believer that magic is just science we haven’t yet figured out. She holds an MS in Human Forensic Identification as well as another in Neuroscience/Human Physiology -- or as she calls it “nerdgirl.” A firm believer that the best suspense relies on clues that were there all along and characters who stay smart all the way through the story, AJ works hard to get readers to “turn just one more page.” With over thirteen books out, AJ’s works have garnered Audie nominations, options for tv and film, as well as over twenty Best Suspense/Best Fiction of the Year awards.